If you own any gun, keeping it safe is always the top priority. You must have a gun safe because it is a very important part of gun safety and becomes an even more important factor if there are children in the house. A gun safe might seem to be just another unnecessary home furniture to some people, but understanding the importance of owning one, might just protect you from unnecessary risks that come with owning a gun. Owning a gun safe is very important regardless of whether you live in an area where gun safe is mandatory possession or not. There are many types of gun safes in the market which can be bought for a very modest amount, while on the other hand, high-end gun safes will require some increase in spending. It is, however, important to understand that owning a high-end gun safe comes with its own benefits. High-end gun safes might sound expensive, but when a buyer analyses the value for money, it will pay off over the long-term, and they are worth the money spent on them. A gun safe will not only keep the gun out of reach of your family members, but will also keep your gun from being stolen by criminals. When deciding on the type of high-end gun safe to buy, there are many factors to consider before settling on a given safe. 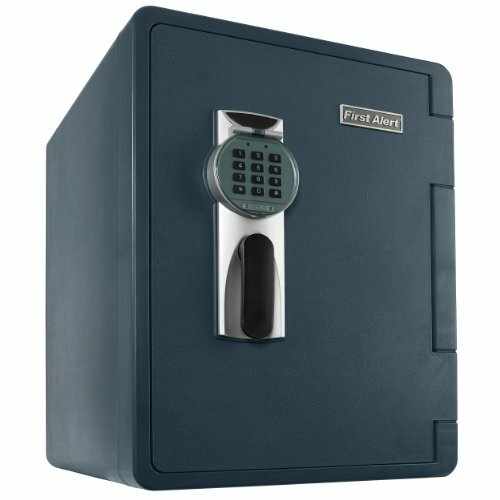 Below, you will find information regarding some factors that you need to think about before you buy a high-end safe, along with a list of the top high-end safes that are available on the market today. When it comes to safeguarding your gun from hazards like fire and controlling who has access to it, a gun safe is a fundamental safety equipment to possess. This high-end gun safe will offer ultimate protection against burglars and other people who might try to gain access to your guns and other valuable accessories. This quality Stack-On gun safe offers excellent protection against fires and top quality value for your buck. This unit comes with amazing features, including 30-minutes fire resistance of up to 1400 degrees Fahrenheit. Also, it features a 4-way locking system and durable steel locking bolts that measure 1.5 inches. Additionally, there is a 3-spoke handle, and once you open up the safe, you will be pleasantly surprised by the beautifully carpeted interior and the three adjustable shelves that you can customize to suit your storage needs. The locking mechanism is state-of-the-art technology, and this gun safe comes with an electronic lock, where you will be able to set up your own 3 to 8-digit lock access combination. The electronic lock is battery operated and there is also a backup master key included with your purchase. The Stack-64-MB-E-S-72 features a pry-resistant and thick steel plate that is designed to protect the lock and enhance the security. 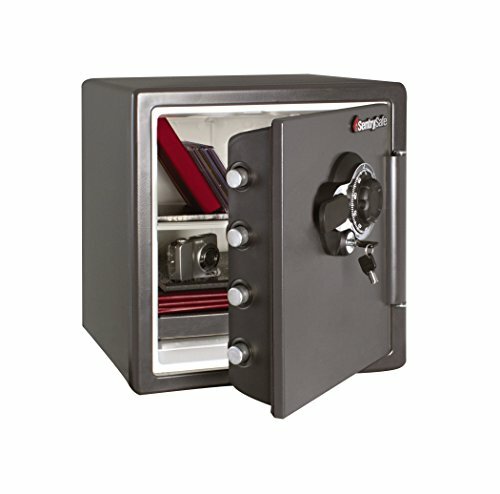 The safe also comes with three 1-inch dead bolts and seven 1.5-inch locking bolts to guarantee durability and security. The interior space measures approximately 28.66 square feet. Here we have a carpeted single partition gun safe that comes with two storage compartments that can be customized to hold up to 64 guns in both compartments. Overall, this is a high-end, quality gun safe that offers excellent protection and comes with a lifetime warranty. Therefore, should your gun safe get damaged due to a fire or attempted theft, you can be sure that it will be replaced or repaired for free. This unit is one of the popular models from American Safety and comes with various desirable features. Besides being U.L certified for burglary protection, it also has ETL certification for fire protection and can withstand up to 1200 degrees of heat for 120 minutes. The construction features top rated, solid steel door with improved ergonomic handles and you can choose between textured and high gloss paint options. This unit is extremely spacious, features aesthetic design and is extremely easy to mount in your house or office. Together with its ultra-smooth locking and opening mechanism, this gun safe includes first-class security elements like handles that disengage under pry, punch and drill attacks. American safety gives you a lifetime warranty, so you can rest assured that your purchase is protected and you don’t have to worry about any damages. There are several other features, such as mirrored back wall and highly polished wall logos for increased visibility and appeal. It is listed as a group-II lock as it features a durable, drill-resistant steel plate and two devices for re-locking. 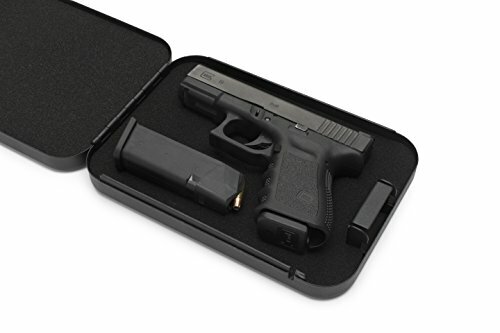 This unit also offers excellent storage capacity as you have a door organizer for the guns, several zippered pockets and many shelves for your documents. You can also customize the space to match your storage requirement. This is another top class gun safe on the market that comes with a 2-inch step-system door that provides access to the 5 3/4 inch total thickness construction. The gun safe was designed to withstand 90 minutes of fire exposure and features durable bolts that are over three times bigger than other regular safes. The exterior features semi-gloss, pry-resistant paint, and the interior walls are all carpeted, including the door. Frontier gun safe has one of the best locking combos that you can find on the market. Other features include 5 bankers wheel and 2 in-door relocking system. It utilizes a 4-level re-locker with loaded spring and brass-arm re-lockers. Frontier has a carpeted interior that offers maximum security for all your documents, handguns and long rifles that you need to store inside the safe. When opened, the safe offers several shelves and pockets for all your storage demands. It is also designed for quick access, as the only barrier you have is the door. There are no additional obstructions that will get on your way once you gain access through the dial locker. 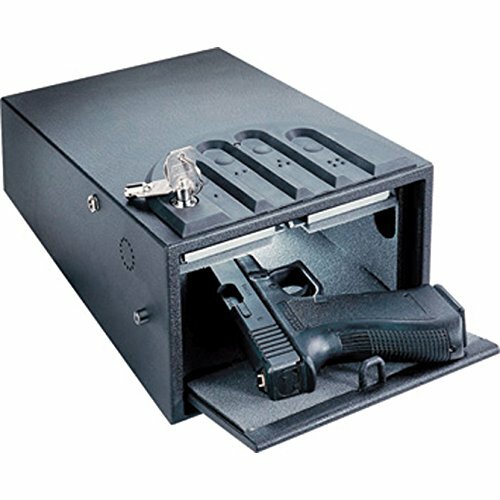 The safe is constructed to hold up to 40 long guns in addition to your other valuable items. 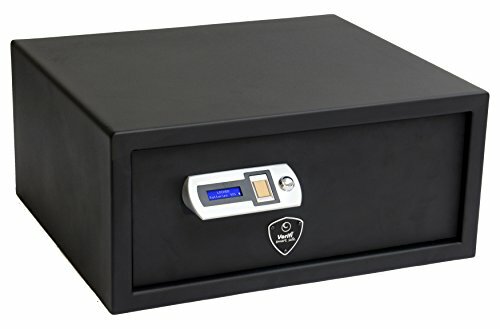 It is ideally organized to accommodate both small rifles and long weapons, and this safe is best for any individuals who are on the look-out for a secure storage solution for their long guns, handguns and other valuable items that need to be kept safe. 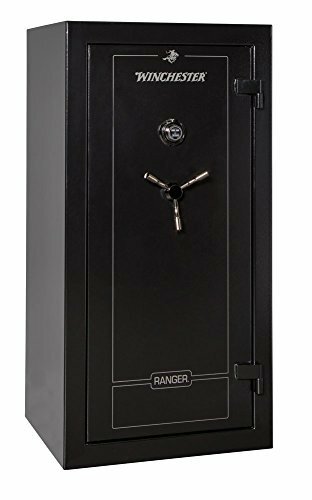 Here is another Frontier gun safe that features a 2″ Step-System Door and consists of 5 3/4″ whole round thickness, which means that this unit is constructed with five times thicker steel than any other gun safe on the market today. The exterior consists of a semi-gloss paint texture that is also pry-resistant. This unit has a sturdy 5 prong bankers wheel, and the door features 2 re-locker system along with a 4 level spring re-locker. The interior is beautifully carpeted to protect your items from scratch. The interior also offers excellent storage flexibility where you can adjust the shelves according to your gun collection. The door is also very organized with pockets where you can store your smaller items. There is also an AC outlet that you can use to install a dehumidifier or an interior light. All in all, this is an industry grade gun safe that solves all your storage needs and offers maximum protection on a level that is hard to beat. 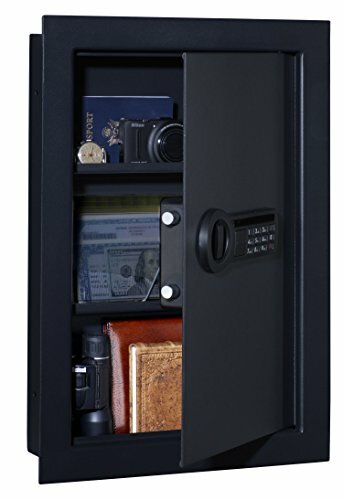 The American Security BF7250 gun safe is packed with high-quality security features. It comes with a sturdy 3/8 solid steel plate door. Additionally, it is U.L certified and ETL-certified for up to 2-hours during fire at 1200 degrees Fahrenheit. It comes with an installed light kit and a built-in power port. Moreover, this unit comes with a pry-resistant electronic lock and first-class steel locking system, with enhanced handle rotation. Furthermore, the electronic lock comes with a five-spoke sturdy handle. 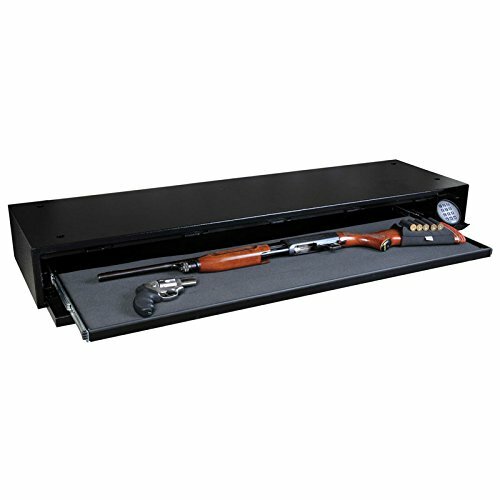 Also, this gun safe comes with a 2-inch thick steel wall on all sides, and the thickness includes two layers of steel and poured dry light insulation for exceptional security and fire protection. The gross steel thickness is 7Ga. U.L. The gun safe also boasts 12 massive 1.5-inch chrome plated bolts for enhanced durability and security. The American Security BF7250 measures 72.2 by 30.2 by 51-inches. The premium door organizer offers quick access to frequently used accessories and also maximizes the storage space. Just like the Stack-64-MB-E-S-72, this American Security BF7250 gun safe also comes with a lifetime warranty. This awesome gun safe features a solid steel construction that can withstand even the most determined pry, drill and punch attacks. Also, it is designed to resist fire exposure up to two hours at 1875 degrees Fahrenheit. The top, bottom, and sides of this safe are stacked with high-quality and durable steel metal plates to provide full protection against forced entry. The lock system feature state-of-the-art innovation that includes a gear-driven locking mechanism. Moreover, it has extra bolts for added protection and also a re-locking system that whenever you close the door, it will automatically lock itself. This safe measures 72” x 42” x 27 5/8” (Height, Width, and Diagonal). The ballistic force resistant metals are designed to keep your items safely locked. There are also pre-drilled holes inside the safe that you can use to install a dehumidifier or an interior light. Overall, this is a high-end gun safe that can suit anyone’s needs. It offers top-rated security and is built with quality and durability in mind, and the best part is that Steelwater provides one of the lengthiest warranty in the business, a whopping lifetime burglar and fire warranty and one year warranty against defects. This safe is a high-end one that was designed to deflect fire and burglary attempts. The door features 5 layers of fire boards, and the body consists of 4 fire board layers. On top of that, it is very sturdy and thick, so that any thieves will have a hard time tempering with or destroying this unit. One of its greatest security elements is the drill resistant steel plate that is located behind the electronic lock. Winchester Silverado Premier has a 4way locking bolt system for maximum protection. Also, it has a 1.5-inch locking bolt made out of top-class steel. The safe is 60″ (Height) x 30″ (Weight) x 25″ (Diagonal) and it weighs 800 pounds. This unit is heavy, so you can expect massive storage protection from this gun safe. The interior is carpeted with a gray pindot textile to ensure that your belongings remain scratch-free. This gun safe provides up to 22.9 cubic feet of interior space, which is sufficient enough to store all your guns and other valuable stuff you need to protect. Overall, this unit offers a great protection and comes with a durable and state-of-the-art lock mechanism. It is a very easy process to mount this safe anywhere in your home or office, and there is a handy power socket that enables you to place a dehumidifier inside the safe. 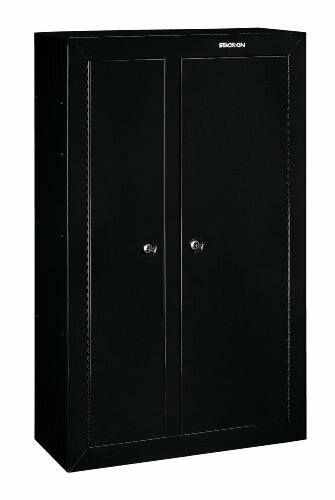 If you are looking for a high-end gun safe, then you should seriously consider this unit from Winchester. Before you fork out your hard earned money for an expensive gun safe, you should step down and carefully consider your needs and demands. There are so many top-quality units on the market that you can easily get lost and end up with a unit that does not match your needs. Browse through the information below and see if you can narrow your selection down to the very best model. That way, you will end up with a gun safe that can last you for a lifetime. Here are few points to consider when searching for a top-class gun safe. Most high-end gun safes have very high-quality locks compared to the other cheap safes. However, it is important to understand that not all high-end safes are of the same quality because quality might differ from one maker to another. Therefore, you can decide whether you like the old school manual lock or the biometric type of lock. With modern technology, you can be assured of getting the best lock in the market when you buy the high-end gun safes. 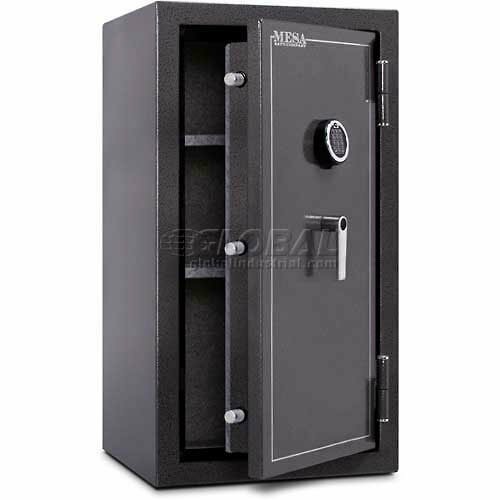 There are different types of gun safes in the market which come in different shapes and sizes. Choose the size that best works for you depending on the firearm you own. High-end gun safe manufacturers always offer the advantages of having your safe custom made to fit the shape and size of your firearm. Buy a gun safe that gives you an option to bolt it either to the ground or the wall. The ability to bolt your safe stops its movement or from being easily stolen from your house or office. This, however, will depend on whether the user would not want his/her safe to be mobile. For individuals who love moving with their safes, this might not be necessary. One main advantage of buying a high-end gun safe is that unauthorized people can not easily gain access to the safe. In all the high-end safes, there is a pry, punch and drill-resistant plate to protect the locking mechanism. Moreover, the thickness of the steel also prevents individuals from tampering with the safe. 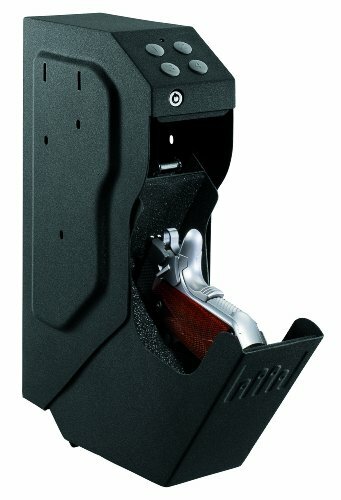 Top-rated gun safes always feature lower gauge steel construction. Therefore, you need to make sure that you go for the lowest gauge available. 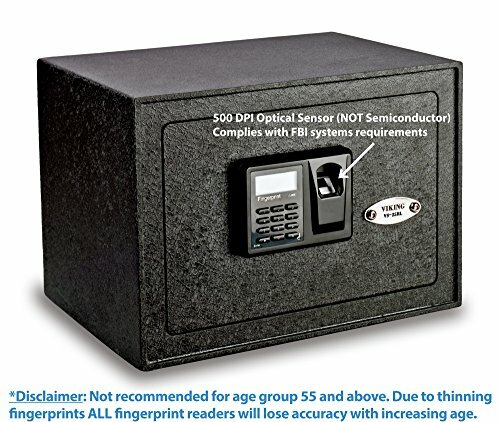 You need to consider the weight of the safe you are buying. 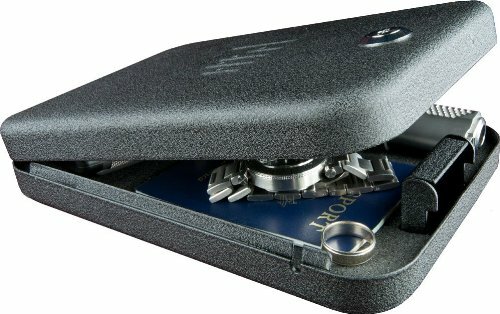 Most high-end safes, however, will offer maximum protection without being too heavy. Depending on your preferences, the weight is an important factor to consider when deciding on which type to buy. 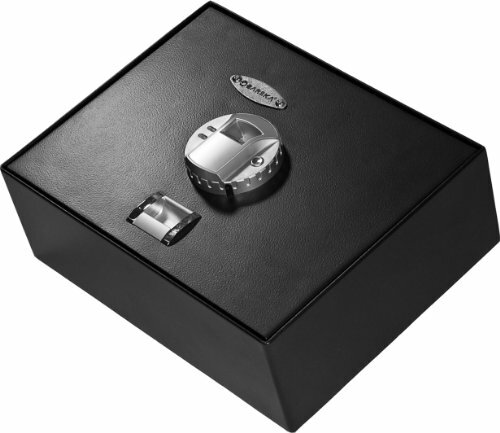 High-end safes are more secure than the average safe that cost a little less. This is because the manufacturer uses high-quality materials in building them. The steel used and the locks put on the safe are of a very high quality to provide extra security. High-end gun safes are made with very prestigious designs to bring out the class that the owner is looking for. A safe, just like any other furniture in the house, must also bring out the status of a person. The buyer will always have an option of going for a custom made gun safe when it comes to the high-end type. Therefore, you can get in touch with the manufacturer and decide on the shape, size, the color and anything they need to be added to it. With this option, the ability to get that safe that meets a person’s taste is increasingly popular. The high-end gun safes are made of high technology compared to the normal safes sold at very low prices. From the technology used on the locks to how soft they open, high-end gun safes are made of far superior technology. Superior technology is always important in this modern world to offer not only maximum security but also comfort in use and easy access. You will always get a warranty when it comes to high-end gun safes. This is because most manufacturers of these high-end safes will always be sure about their product. The warranty varies between manufacturers, and it can range from 1 year to a lifetime warranty. Having said that, all high-end gun safes come with a warranty when bought. Some of these safes even have a lifetime warranty, as mentioned above. This is because the safes are made of high-quality technology and materials that make the manufacturers confident that they are delivering top-notch product to the customer. The warranty might be structured in different ways by different dealers. They can provide a free replacement if the safes develop any issues, servicing after a certain period and many others depending on the manufacturer. Warranty is very important when a person buys any product of value. Although the warranty can not be thought of as a deciding factor of a gun safe, it can give you a good idea about the value and quality of your investment. 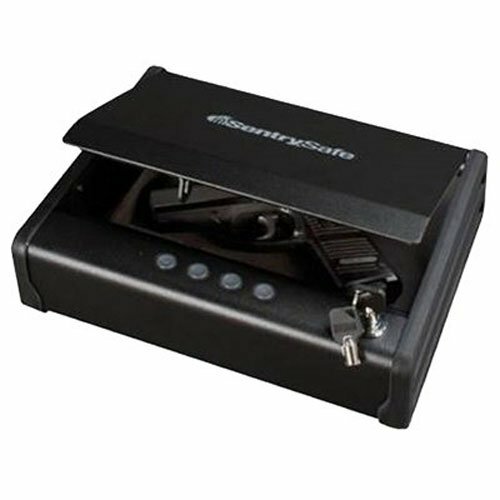 There are many gun safes in the market which will be available at different prices. High-end gun safes will sometimes scare the buyers because of the high prices they come with. It is, however, important to understand that the high prices are always because of the high standard of manufacturing involved in the making of these safes. High-end gun safes might be expensive in the short term because of the cost of purchase, but in the long run, these are the best cost saving items you can have. They offer you durability, you can get servicing from the supplier, and because of high-quality locks and steel they are made of, you can be sure that you are investing in a quality product.